How to get that Inside/Outside look, when you have no outside to get inside… A desire for the Indoor Outdoor look that’s all about glass back walls and Crittall windows shows no sign of abating. And rightly so. We all know that fresh air is good for us and that even gazing upon the colour green can make us feel better (fact, hospital patients with a view of a garden heal faster than those without). We also get the whole open plan home thing being more suited to modern living as shared multi-functional space means no-one gets trapped in the kitchen, not to forget the contemporary redundancy of dining rooms. However, what if you rent, live in an apartment, or have a house but can’t knock down your back wall, or even if you could, it’d look out onto something rather more urban-barren than country-idyll-verdant? Before plummeting into despair, here’s my six simple steps to faking the inside out feel, wherever you live. Because green is good, and the more healing we can do at home, the better. Plus, when the weather is foul, this is a great way to get the benefit of the big outdoors without actually putting a foot outside! 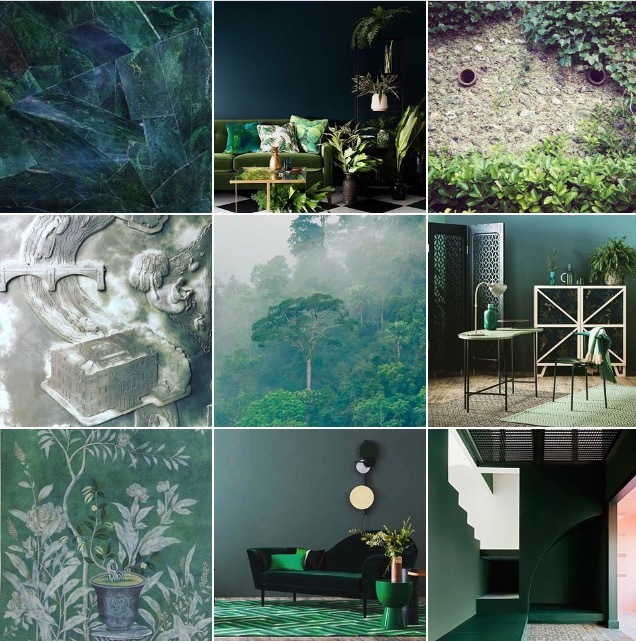 • Paint a wall green The colour itself provokes your feel good endorphins, not just the act of getting outdoors, so if you haven’t got a garden or any other form of outside space, bring a sense of it indoors by choosing a verdant shade you love and getting roller happy. • Fake foliage with wallpaper One step further than just paint would be a large-scale, foliage-heavy wallpaper (see below) pasted directly onto a key wall. 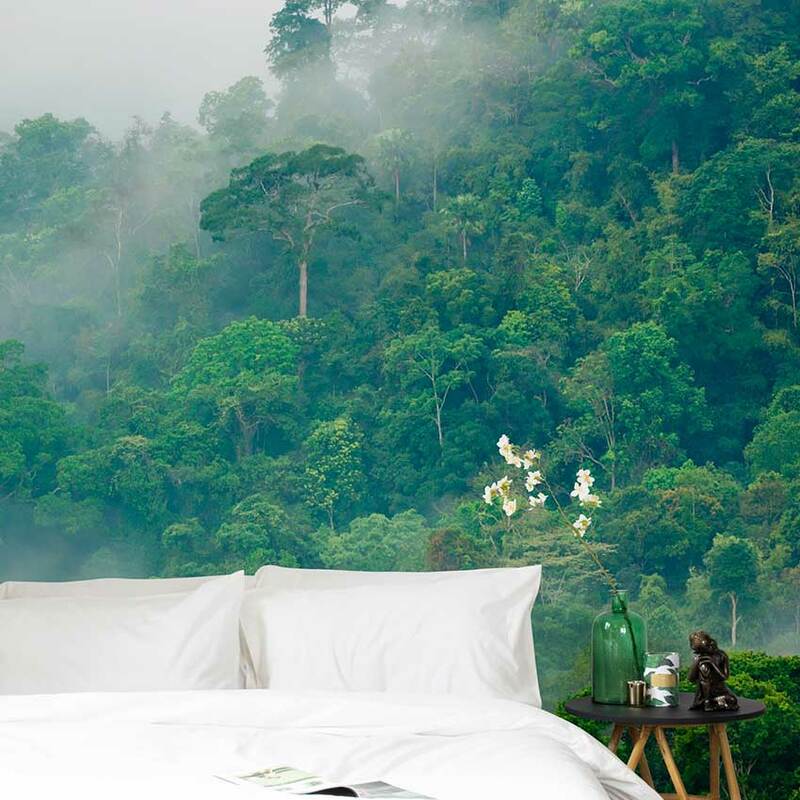 Alternatively, there’s also many a great leafy-print mural on the market today, from bucolic scenes of the English countryside to lush impressions of the Brazilian jungle, all custom-printed to fit any wall you might care to adorn. • Fake a grassed area indoors Why not consider the purchase of a wonderfully deep pile rug in green. Digging your toes into it every morning will be almost as good as the real thing. Or, could you incorporate a whole planter or even indoor flowerbed for real greenery into your home? Plants don’t have to be just in pots! (See the gallery for inspiration). • Make a green focal point Your kitchen is perfect for this as it’s already where you go to nourish yourself… could you contemplate green units? You could get the effect by just changing the doors, or getting existing ones re-sprayed. 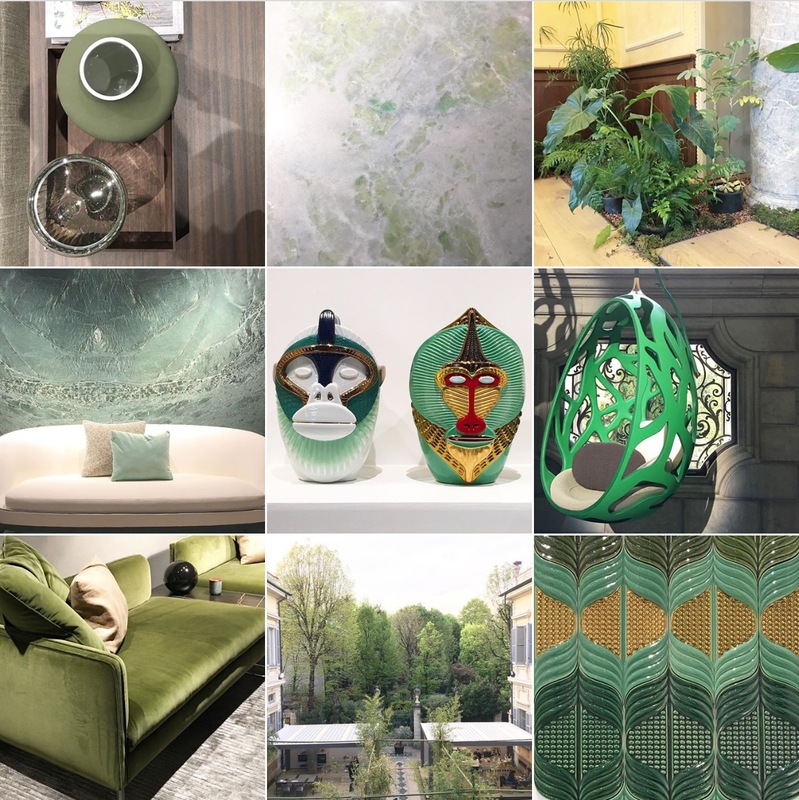 • Convert your sofa into an indoor oasis First update it with green upholstery (de rigour, and taking over from grey as the “hot colour” in upholstery. Velvet being the fabric of choice) then add a mountain of greenery emblazoned cushions. Simples. Plants don’t even need to be real to gve your pysche a boost. Companies like muralswallpaper.co.uk specialise in large scale imagery of every imagineable design, custom-printed to your exact requirements.